*Update: I now toss my veggies with olive oil and vinegar first, adjust salt and pepper for taste, and then add bread at the end and toss. 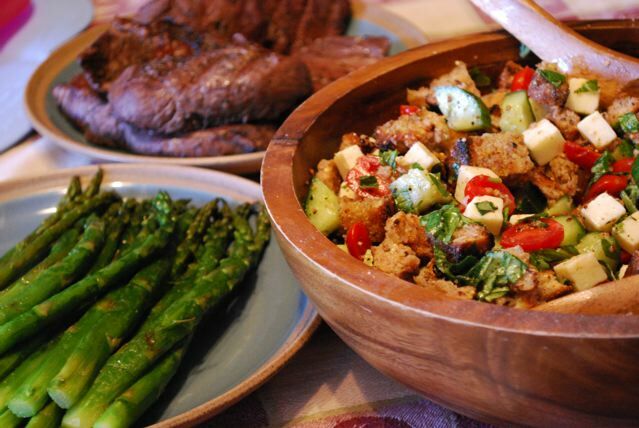 I like my salad to be moist and vinegar-y, so I usually use two parts red wine vinegar to one part olive oil. The cucumbers and tomatoes should be sitting in some dressing when you toss in the bread--the bread will soak up the excess dressing! 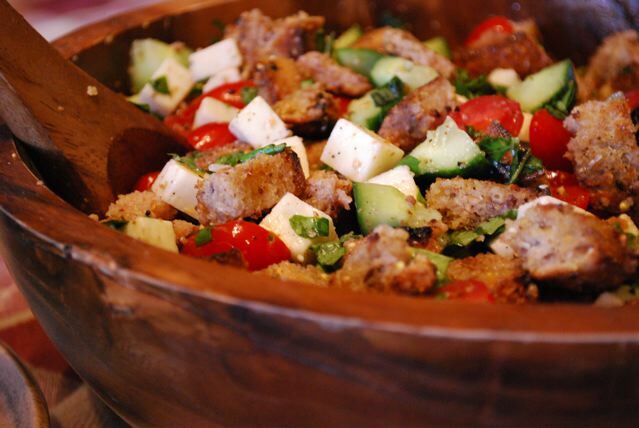 Simply delicious, and efficient too, taking care of bread and salad in one big bowl! Perfect for the grilling season that's around the corner.